The educational programs we offer have been updated, modernised and aligned with the new NSW Curriculum for the primary years with a focus on Stage 2 and 3. We have created educational tours with a strong focus on meeting a range of cross curricular outcomes to optimise a schools time away from the classroom. For example, our new Abercrombie Caves tour combines outcomes in maths, science, geography and history. Our well renowned hands on gold tours have a stronger focus on life in colonial Australia within a carefully reconstructed 1800s goldfield’s village. This tour exposes students to the Chinese migrant experience, history of colonial housing, changes to medicine and personal hygiene, problems with access to clean water on the goldfields and problems with food security. 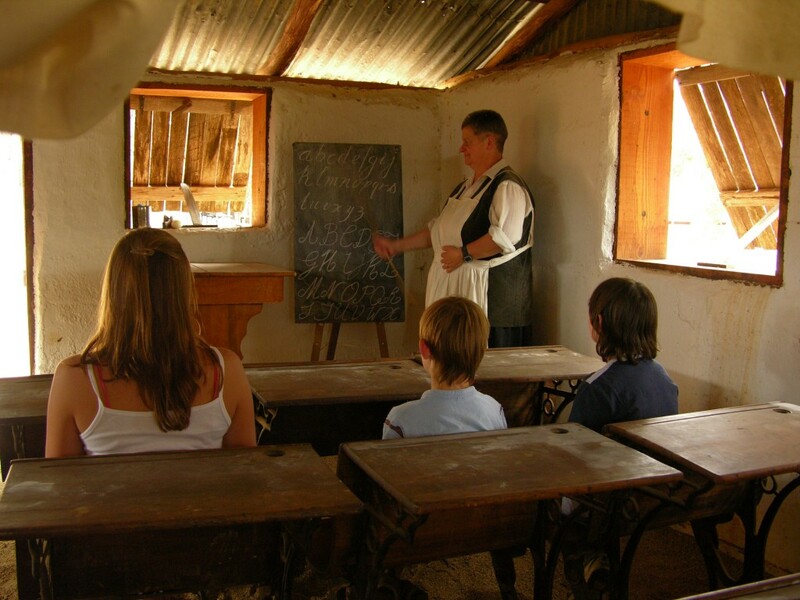 Primary students will be taken back in time to various rich historical sites around Bathurst to experience the true history of Australia’s oldest inland settlement. Our new tour locations include Bathurst Courthouse, original location of the Bathurst settlement on the Macquarie River, the execution grounds of the notorious Ribbon Gang, Bathurst Cemetery and the Bathurst Historical Society Museum. Primary students will be provided with investigative tasks to complete during their interaction with our expert guides at the tour locations. Tasks require students to collect, record, analyse and interpret a range of sources to create a meaningful and holistic view of life in Early Colonial Australia. Our curriculum resources come with complimentary optional pre and post excursion reading, activities and questions in additional to a range of school based tasks. All our tasks allow for differentiation to ensure all students can participate.